Whitworth Theatre Presents the Tony Award-Winning Play "The Elephant Man"
Whitworth Theatre will stage its fall production, the Tony Award-winning play The Elephant Man, on Oct. 13, 14, 20 and 21 at 7:30 p.m., and Oct. 15 and 22 at 2 p.m.
Whitworth University’s Office of Church Engagement welcomes Wm. Paul Young, author and producer of "The Shack," along with C. Baxter Kruger, director of Perichoresis, and John MacMurray, founder of the Northwest School of Theology, for a lecture on Thursday, Sept. 28, from 7-8:15 p.m. in Weyerhaeuser Hall’s Robinson Teaching Theatre. Admission is free and open to the public. For more information, please call (509) 777-3275. The Whitworth University Office of Diversity, Equity & Inclusion, to mark National Hispanic Heritage Month, will present author and screenwriter Miguel De La Torre, Ph.D., and his award-winning documentary "Trails of Hope and Terror" on Monday, Sept. 25, from 7-9 p.m. in Weyerhaeuser Hall’s Robinson Teaching Theatre. Whitworth University was ranked No. 5 in U.S. News & World Report's annual rankings of the best regional university values in the West. For the 18th consecutive year, Whitworth also ranked in the top 15 best universities out of 126 master's-level universities in the 15-state region of the Western United States, ranking No. 8 this year. Whitworth also earned the No. 2 ranking on the list of best undergraduate teaching in the West. 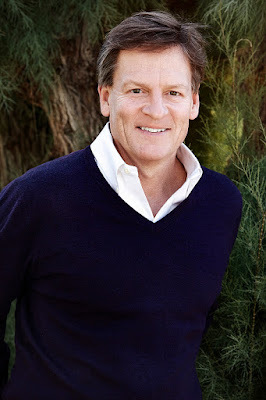 Financial journalist and New York Times best-selling author Michael Lewis will be the featured speaker at Whitworth University’s fall President’s Leadership Forum, to be held Tuesday, Sept. 19, at noon-1:30 p.m. at the Spokane Convention Center. On Wednesday, Sept. 20, nearly 1,000 Whitworth students, faculty and staff members will join forces for Community Building Day and spread across Spokane to demonstrate the university’s commitment to continued service to its community.